No time for a recap today, will hopefully get to it tomorrow. Just a quick Meal Plan and plans for the week! Plans - Off to see a movie screening "Prisoners"
Plans - Movie Screening "Gravity" this one looks so scary!!! Plans - Cooking Class! We have not taken a cooking class since February. Usually we take one at least once every three months so I am looking forward to this one! 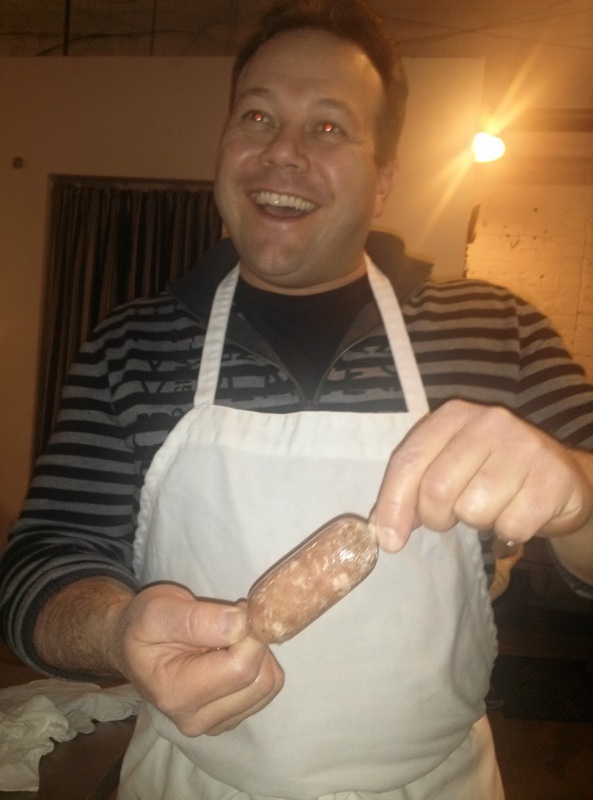 The last one we did, we made our own sausage, which was a ton of fun! Plans - we are hosting a Mystery Wine Night for about 14 of us. Should be a ton of fun! Dinner - everyone is bringing something to share, I haven't decided what I am going to make yet. Plans - Hoping to go and check out some Parade of Homes, depends on the weather, we also need to work on the garage. Dinner - Have not made turkey meatloaf yet, may need to do that. Oh, I heard of a great idea for a wine event. Everyone brings 2 bottles of the same wine. One gets covered in a brown bag, one goes in a case. Do a blind taste test, whoever brought the winning wine gets to bring home the case. Love it! !